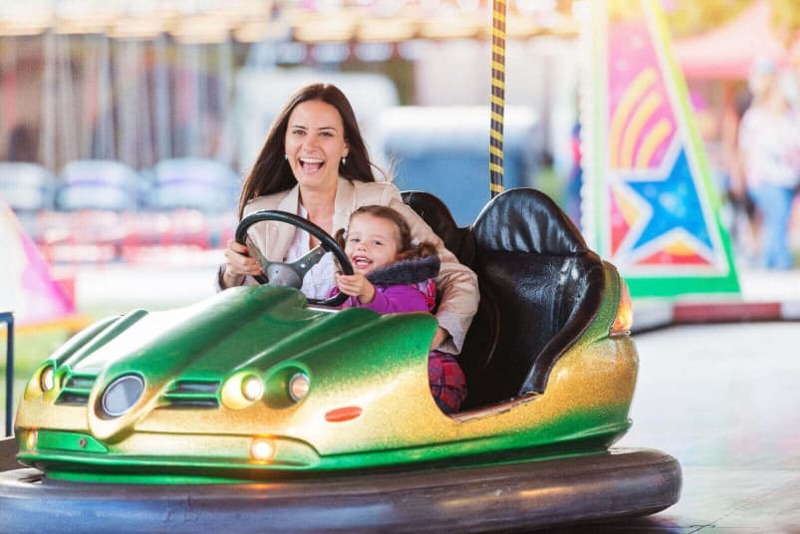 If you are looking for dodgems hire for your fun day, college or university event, then we can offer you a full range of track sizes in both traditional fairground dodgems and the modern continental style tracks. Over the years we have provided dodgems to most of the universities around teh U.K., including many of the Oxford and Cambridge May Balls. All of our rides can come with upto 16 dodgem cars, and provide an excellent centrepiece for your event. A dodgem set is probably the most fun available in a fairground ride, and makes a great complement to any sized event. •Miami and other thrill rides. Contact us for details of the wide variety of track sizes and quantity of cars available, and make yours the college ball they all remember. Many of these are legally require documents, dont hire rides from operators that cant supply them. 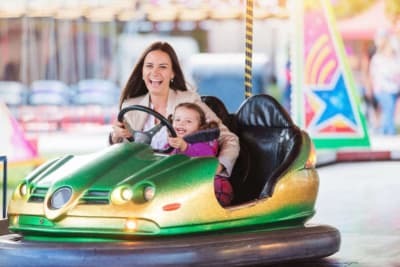 There are 2 basic types of dodgems available for events. The continental track is the latest state of the art ride system. Larger than a traditional model, it usually comes with airbrushed artwork, additional lighting and a bigger sound system. The drawback is that it is supplied folded up on a lare trailer and needs to be driven into position, you cant take it around tight bends, up stairs or over small walls. This is the type of ride you probably remember as a child, the same great ride experience, but in a lower package with a slightly smaller footprint. It stil comes with great sound and lighting, but normally doesn't have the same artwork decoration as its continental cousins. The big plus of this type of ride, is the fact that because it dismantle entirely, it can access many sites its bigger counterpart cannot. This opens the way to being installed in tight corners, or over a wall. Indeed in the past we have provided dodgems to Trinity college in Cambridge, which necessitated parking one side of a river, carrying the ride along the river bank, over the bridge and back along the opposite bank to set it up. Whichever type you are interested in, let us know and we can provide a competative quote for any event. We offer a range of modern and traditional dodgems rides for college balls, university events, parties, military events, weddings and corporate events throughout the U.K. including Yorkshire, Lancashire, The North East, The Midlands, London and Scotland.